Best free website chat software for your online businesses. Pre-sale and after-sale service with live support on website. Monitor your website visitors and traffic real time. Track visitor keyword usage and discover best keywords for your website. 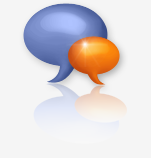 Have live chats with forum members and bloggers to discuss their views or opinions. Expand your website design offering with live website chat. Chat4Support is a value-added feature for your customers' websites. Make your ISP or hosting business more successful. Build a Distance Education system with live support features. Enhance your online courses and remote training/learning centers. A travel agent's website with live help offers customers a high level of support and confidence when abroad. Initiate chats with visitors instantly. Identify your most valuable visitors and convert browsers into buyers! Offer instant help. Send your solutions from your preset knowledge base. Log your visitor's footprint, referrer, keyword and residence time. Optimize your Google/Yahoo PPC campaigns. Detect and prevent click fraud! Monitor your website traffic every day and measure your website's popularity. Multi-language support in visitor chat window:English, German, Portuguese, Swedish, Dutch, Russian, Chinese, Japanese, Polish, Turkish, Hungarian, Spanish, Romanian, Danish. When a visitor browses your website more than once or browses an important page, you can identify this visitor immediately. You can also identify VIP visitors from your visitor list or who chatted with you before. When a visitor goes to your website by using a search keyword that matches the keyword list you pre-set, you can identify this hot prospect immediately. Chat with visitors in real-time and provide live assistance option to visitors when they need help. Include Internet Explorer, Netscape, Mozilla, Opera, Firefox. Visitors can chat with more than one operator at the same time. And the operator can transfer the chat to another one if necessary. Monitor the daily and monthly web site traffic, including page views and unique hits (unique visitor IP). Collect visitor information, such as geographic region, browser type, and operating system. Analyze where your visitors come from and their search keywords usage. You can store questions and solutions frequently used for visitors, sort them into specific folders, and send them to your visitor instantly. Store your visitor's chat history, contact information and footprint in the operator's server, which helps to identify each visitor once they log in again, and operator can check the browsing history of visitor. You can set up Chat4Support within 10 minutes. No need to set up any server and there's no setup fee or contract . Visitors don't need to download/install applications or sign up. Anybody can login at will. Block IPs of vicious visitors. When you block IPs successfully, you can monitor the number of blocked visitors in a blacklist. When a website visitor browses a webpage that exceeds a set time, Chat4Support can send an invitation to the visitor automatically. When the operators are offline or in busy status, the visitors can choose the Robot Knowledge to answer their questions. The visitor only need to type the question with the keyword in the inputbox. Then the robot operator will provide the corresponding answers for them to choose. Review all chats with visitors, including successful and missing chats. There you can analyze all chats by different statistics, such as chat time, response time, operator logging-in date or chat history and so on. Invite visitors to chat on your operator's own initiative. When you use SSL (Secure Sockets Layer), your conversation with visitors can be encrypted so no one can intercept your critical dialog. If a visitor provides a phone number during a chat, the operator can use Chat4Support to connect Skype to call the visitor directly. When operators are off-line, visitors can leave messages in the system and choose a department to reply to them. Visitors can transfer the files to operators, and the operators can send files back to visitors as well. Display the status of website visitors' activities, including browsing, calling or chatting, and time information. Upload customized chat buttons or create your own design and use them for both online and offline buttons. Save your most common messages for greeting and signing off, etc. This saves time wasted on composing, poor grammar and embarrassing spelling mistakes by operators. Save all your chat sessions and easily review chats online. Upload your own images in the chat dialog box for a completely branded user experience. Send message to visitor in HTML format. Support different languages for both visitors and operators. You can always use the latest version of Chat4Support. 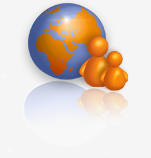 Chat4Support system will periodically upgrade the version for you. When a visitor receives your email, the visitor can click the chat button to chat with you in real-time. You can even add a live chat button in your Outlook Express messages. You can capture any screens and transfer them to whom you are chating with.